Iran broke the record for Asia's highest temperature ever recorded during June yesterday. It was a scorching 128.7 degrees in the southwestern city of Ahvaz, which works out to 53.7 degrees Celsius. The previous June record in Iran was 127.4 degrees. And if that wasn't enough, the heat index, which factors in humidity, hit a whopping 142 degrees. 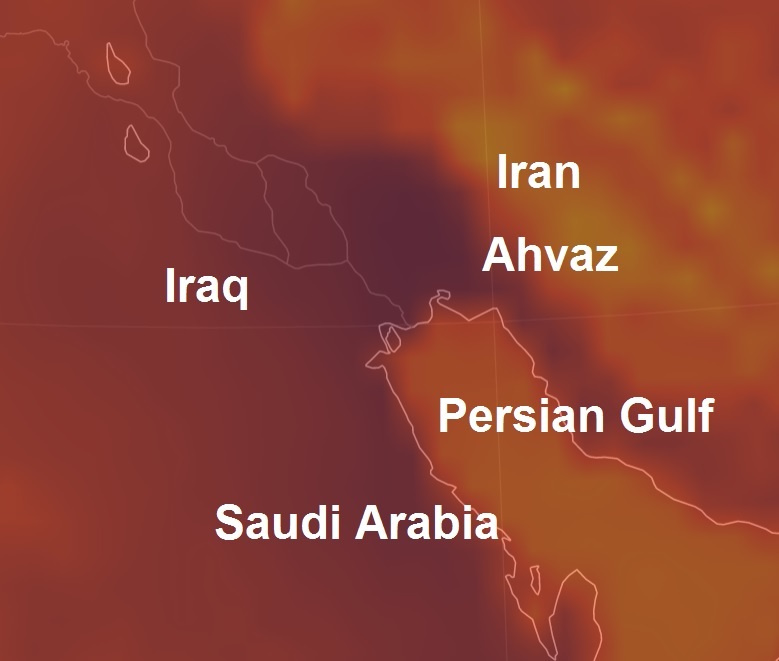 Amazingly, if you only measured by heat index, the Iranian city of Bandar Mahshahr actually felt hotter than Ahvaz yesterday, hitting 165 degrees, while maintaining a lower actual temperature of 115 degrees. As USA Today notes, the highest temperature ever recorded on Earth was back in 1913 when Death Valley, California hit 134 degrees. Last year, 2016, was the hottest year on record for our planet. Meanwhile, the Trump regime is eliminating 1,200 jobs at the EPA, and the president himself has called climate change a "hoax" invented by the Chinese. Weather is not climate, but blistering heat is one of the predictable outcomes of humanity's contribution to global climate change. So while Congressman Numbnuts brings snow into the US House to "prove" climate change is a hoax, maybe we can shhese guys ip toff to Iran in the summer.